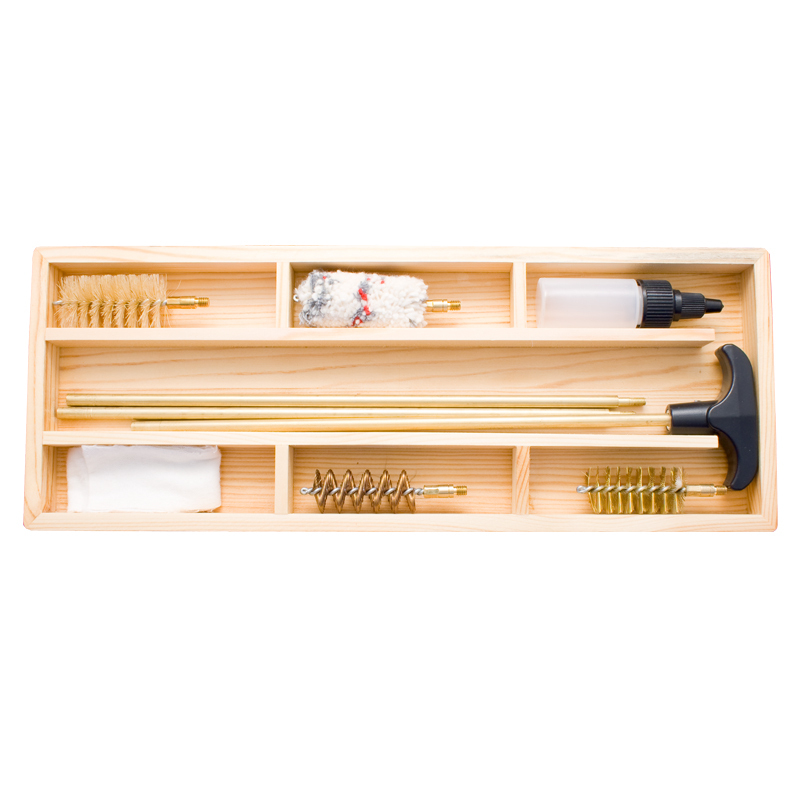 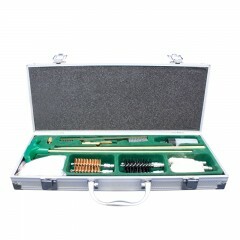 Backwoods® Shotgun Cleaning Kit fits 12 gauge shotguns. 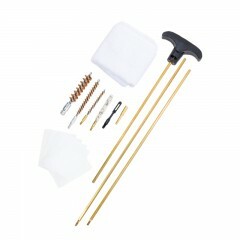 It contains nine items including: nylon, tornado, phosphor brushes, cotton mop, oiler, three 8.5 section brass rod and cleaning patches. 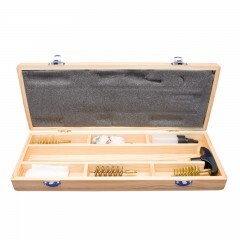 Wooden storage case features specific spots for each piece.